If you ask my husband he will say hot sauce doesn't have just one use or occasion. It's something you can use for breakfast, lunch, dinner, or anytime in between. He actually likes to start his day out with a hearty breakfast - topped with hot sauce of course. 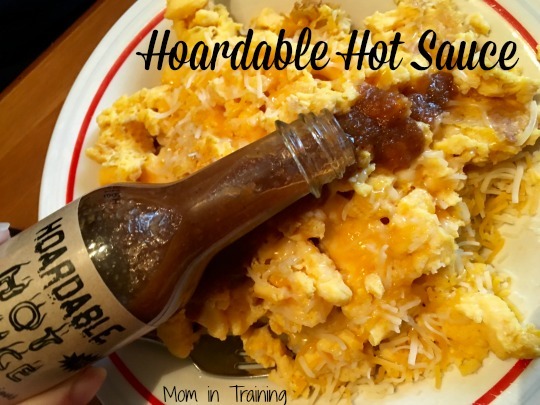 When he took his first bite of the Hoardable hot sauce he said "damn that's good". I guess that meant he liked what he tasted! He said it had an instant spice with a heat that builds. Just his kind of hot sauce, one that doesn't fade after the first bite. 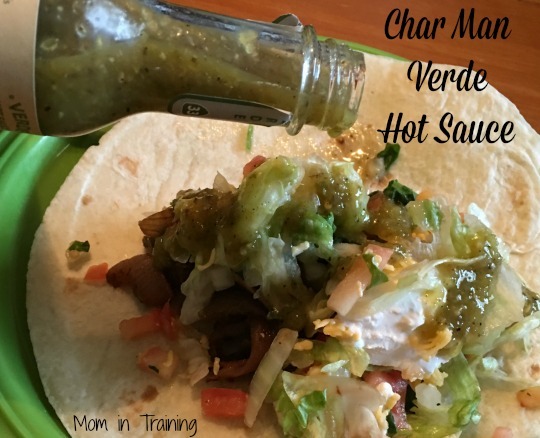 Next on the menu was the Char Man Verde Hot Sauce on homemade fajitas. My husband said it had a hint of garlic that gave it a unique flavor blend for this type of food. It's not too hot but has a good warm spice to it. He said being a Verde sauce it would make it a great addition to tacos, burritos and other Mexican dishes. And finally to round out the meals with a big dinner of steak, veggies and cheese. 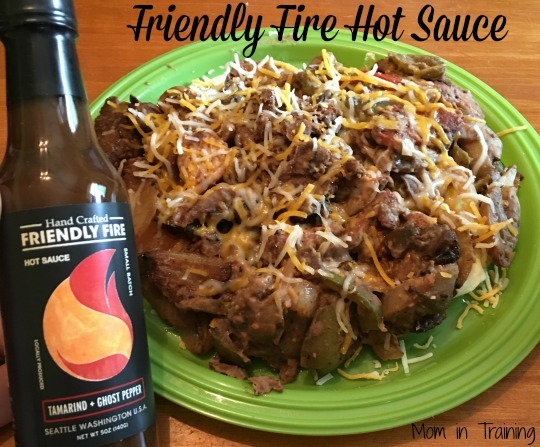 Friendly Fire hot sauce has a bold flavor to it and pairs very well with meat. He said it would be perfect to mix inside of meatloaf or burgers before putting them on the grill. We even saved some to spice up a batch of beef jerky because he liked the flavor so much. 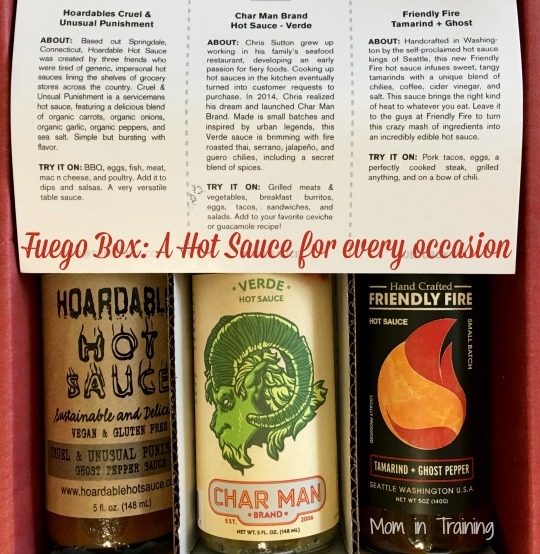 The nice thing about the Fuego subscription box service is that you control how many bottles of sauce you'll receive and how often. You can get one or three bottles, and you can get them monthly or quarterly. This is nice for those that may use them more often than others. I know in my house we go through quite a bit of hot sauce. My husband tends to put it on EVERYTHING! He even put it on his ice cream just to see what it would taste like. I honestly thought he was crazy, but he said it really didn't taste too bad...I'll take his word for it.